Dallas, Texas, the Big D, is the ninth largest city in the U.S. and the third-largest in Texas (after Houston and San Antonio). As of 2010, the city had nearly 1.2 million residents and is the largest economic center of the Dallas-Fort Worth-Arlington metropolitan area. The entire area has over 6.5 million people living in it, making Dallas homes very popular for individuals looking to locate in an economically sound area. Dallas homes for sale range from simple, starter town homes to ranch estates and Downtown high-rise condominiums with the latest amenities. Dallas was founded in 1841 and was incorporated 15 years later. This expansion has been ongoing since the Caddo people inhabited the area before the French claimed it. The Adams-Onis Treaty would make the area part of New Spain in 1819 and it would remain that way for just two years until Mexico declared its independence from Spain. In 1836, Texas became its own nation after it split off from Mexico. The Dallas area did not receive official settlement by anyone other than the Caddo people until 1841 and it is from this point that Dallas properties were being claimed by people wishing to settle in the area. 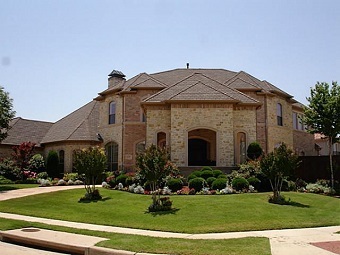 Real estate in Dallas has been popular ever since as evidenced by its rapid growth over 160 years. The economy is mostly based on commerce, banking, telecommunications, medical research, computer technology, healthcare, and energy. There are quite a few Fortune 500 companies located within the city, including Texas Instruments, AT&T, Nokia and Sprint. The "Silicon Prairie" and "Telecom Corridor" are more reasons why Dallas homes are hot commodities. Dallas is a picturesque Southwest mecca for outdoor scenery, exercise and fast moving action.It's home to many parks, such as the Robert E Lee Park that features a statute of Robert E. Lee on horseback; Reverchon Park; Fair Park where individuals can go and enjoy amusement park rides, food, and more; There's also Klyde Warren Park and Harry Moss Park. Dallas is a great golf town, with public courses such as Stevens Park and Cedar Crest. If you are house hunting in Dallas, you should be able to find homes located close to these parks and facilities. Overall there are a total of 144 attractions that include the Dallas Zoo, The Dallas Arboretum & Botanical Gardens, the Zero Gravity Thrill Amusement Park, and Highland Park Village shopping megacenter. There's also museums, libraries, and the Morton H. Meyerson Symphony Center.Those looking for homes for sale in Dallas will be excited to learn about the concerts, seasonal events, family and children events, the Dallas Arts District, Gilley's, and much more. For a look at Dallas' extensive events calendar click here. Of all of the events that the residents get excited over, Dallas Cowboys football is one of the major attractions for the city. The house hunter/football lover looking in Dallas is going to enjoy the opportunity to root for America's Team and even see a lot of games in person. The Dallas Cowboys Training Camp has now moved up the road to Frisco, and you can read more about the move here. 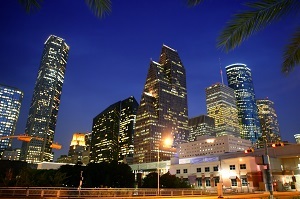 Dallas, Texas in certainly one of the most famous and popular cities in the modern Southwest. With all the cultural, recreational and entertainment amenities, it's a top flight U.S. destination. For home seekers, it's actually quite easy to search with the help of an experienced Dallas Realtor, so call Lynn Slaney Silguero of Ebby Halliday Realtors, 972-588-8449. 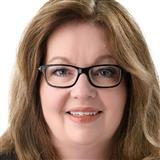 She is an experienced pro who knows the Dallas metro area and can help you examine your options and make you feel at home in Dallas.